At the beginning of the 21st century, at the time of a new wave of Dutch emigration, we are seeing a new kind of emigrant: more involved with developments in The Netherlands, and more well-informed. Issues such as the discussion surrounding dual citizenship for Dutch emigrants , and the withdrawing of support for Dutch language education abroad, however, clearly indicate that this involvement on the part of The Hague is not completely mutual. What is the economic added value of Dutch expats and emigrants for The Netherlands itself? And what could The Netherlands learn from how other countries treat their citizens abroad? 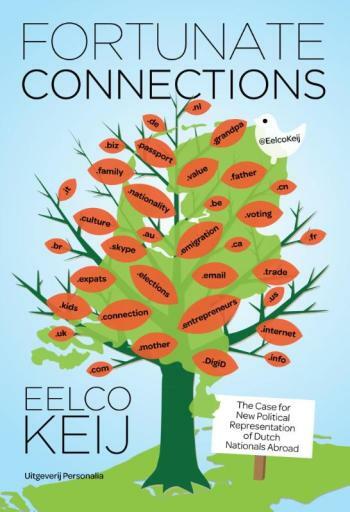 Eelco Keij maps this out in this political manifesto. Based on his observations, he draws conclusions and makes recommendations, focusing specifically on the political representation of Dutch nationals abroad. Eelco Keij lives in New York, and was instrumental in the discussion about dual citizenship. He was a D66 candidate at the 2012 elections for the Dutch House of Representatives.